Dalma Mountain Range is at an altitude of 3000 feet. Lurking in the thick cover of its jungle (193 sq. km.) are elephants, barking deer, sloth beer, porcupines, leopard, tigers etc. The steep slope of Dalma are a trekker’s delight. 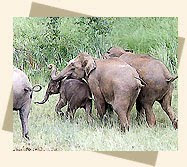 Small hideouts have been made at several places in the sanctuary where one can see wilds animals in their natural habitat. A look from the mountaintop at the city is so visually appealing at the night that it looks as if millions stars twinkling. Dalma provides natural air condition to the fuming steel city and is an important source of fresh oxygen to the citizens. Late Sanjay Gandhi inaugurated the sanctuary in 1975. On the mountaintop are the guesthouse of Tata Steel and Forest Department. A plateau, four miles long and two and a half miles broad. It is in the extreme of the district, the highest point of which is 3,800 feet above the sea level. 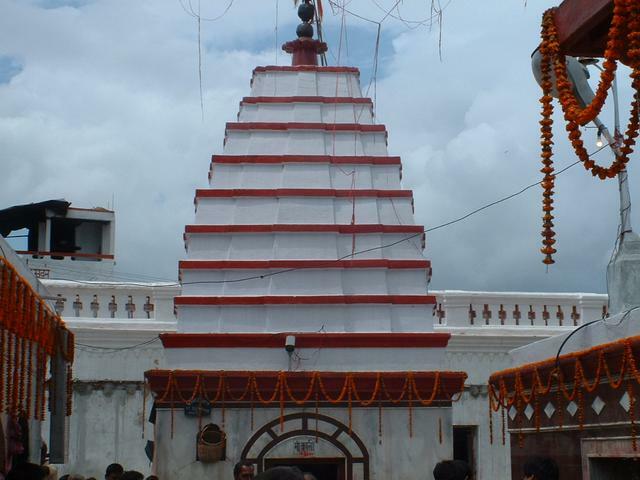 It is in Mahuadanr police station and is 96 miles west of Ranchi across seven hills. This is the highest point on the plateau of Chhotanagpur. Netarhat is a place of peculiar charm which has a laid its spell on many casual visitors. The stillness of the jungle and the cool and refreshing air brings relief from the dust and heat of the plains.The sight of the sunrise near the Palamu dak bungalow and sunset at Mangolia point about six miles from the Public school. It is advisable that tourist must see the SUNRISE and SUNSET in Neterhat. Presently Neterhat is situated in new created district LATEHAR from PALAMU.